I like a still-life with perspective. If this is the beginning of the meal, you need more cake. If this is some time after the meal has begun, I genuinely appreciate your priorities: enough sandwich left for the next meal and a hearty appetite for the best part of the meal. 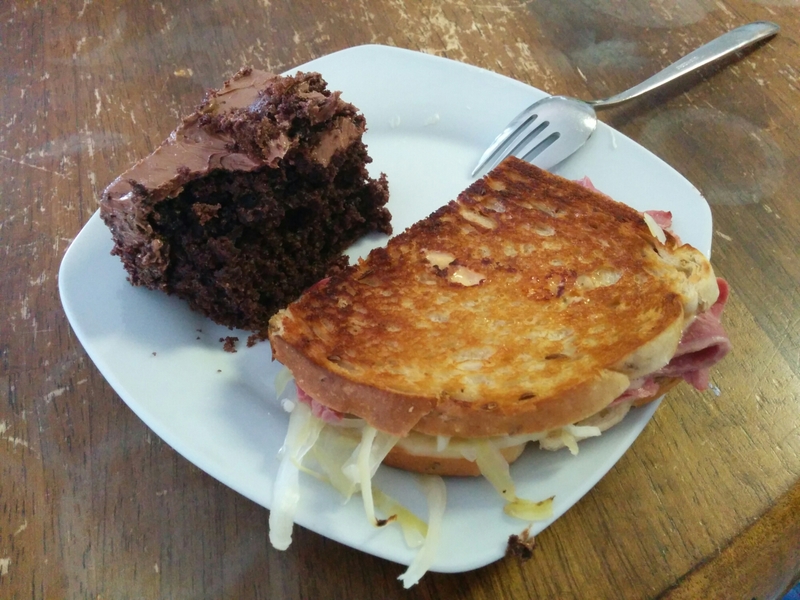 There’s a restaurant near me that makes a vegan reuben, and I can assure you it is not 1/10000th as good as that sammie looks. I also think my family has exactly the same table.